Escapade in the heart of the vineyard of Châteauneuf-du-Pape. 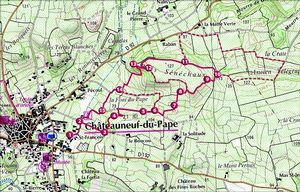 Set off to discover the Châteauneuf-du-Pape AOC, its history, its places, its terroir and its people. 15 information panels unveil the symphony of the thirteen grape varieties.